Most of your cable companies, banks, credit card companies and utilities offer you the chance to get online statements instead of printed copies. You can log onto the website and pay your bill online and set up your new mail preferences. With a little research you can find a way to cut back on the rest of your junk mail by removing your name off of mailing lists. If all your reduction in pay-per-use can save at least one tree a year, then you’ll be having a huge impact on the environment. your shoes have picked up all the gunk from parking lots, sidewalks and lawns. Those germs are now part of your treads. This is why you should always leave your shoes at the door to your home. Not only will it cut back on stains in your carpet but it might also reduce the chance of spreading germs throughout your house. There have been major improvements made with the lightbulb since Thomas Edison flipped his first switch. Today a LED or CFL bulb can produce the same amount of light as a regular incandescent bulb but use 70% less energy. They also last up to 25 times longer than regular bulbs. All of this means you’ll be spending less on light bulbs over time and there will be less dumped in the landfills. That’s always a good thing. There are probably a lot of things you want to get rid of around the house that can’t fit into the recycling bin. That doesn’t automatically disqualify them from being repurposed. This is where you need to bring in Junk King Atlanta. 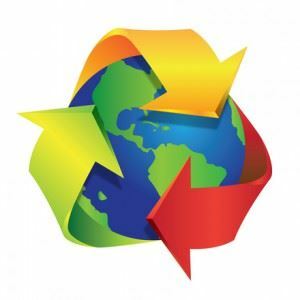 This is a professional junk hauling service that has been dedicated to an eco-friendly way of doing things ever since they began collecting junk back in 2005. Junk King Atlanta set up partnerships with local recycling facilities and charities. This is where your junk will end up. Even if it takes the Junk King crew a few extra trips to make all the drop-offs, they consider it time well spent. Go green and recycle junk the right way by hiring Junk King Atlanta today. This entry was posted in Atlanta Junk Removal and tagged clutter, green, junk, recycling on August 31, 2017 by Junk King. Last updated August 31, 2017 .